The Medical Research Council (UK) has recently reported that it will be funding the first UK trial of an innovative combined stem cell–gene therapy in lung cancer patients in the UK. The Phase I/II trial, which is due to begin enrolling in 2016, is being funded through the Biomedical Catalyst – a fund that aims to speed patient access to new treatments and technologies. If successful, this stem cell–gene therapy could improve prospects for lung cancer patients. The combined therapy utilizes donor stem cells that have been modified to express a potent anticancer gene termed TRAIL, which is capable of triggering a signaling pathway that promotes cancer cell death but does not affect healthy cells. Employing stem cells as a delivery vehicle for TRAIL protects the genetic material from degradation and exploits the innate tendency of stem cells to zero in on tumors, exerting the TRAIL-mediated antitumor effect where it is required. 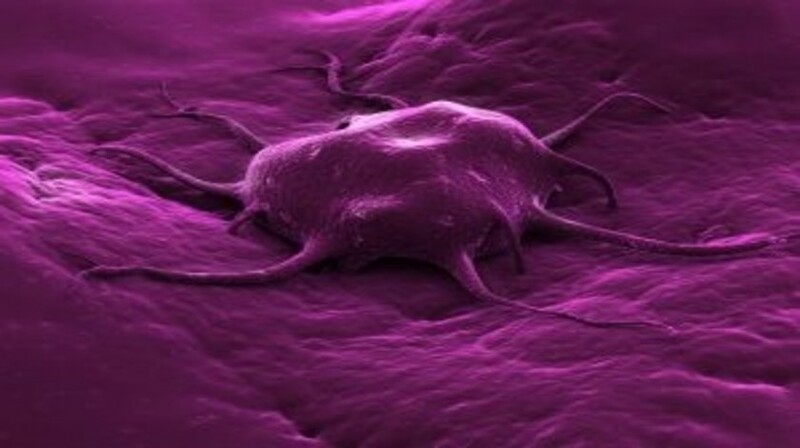 Preclinical tests have demonstrated that the experimental combined stem cell–TRAIL treatment is capable of eradicating tumors both in vitro and in animal models. Janes further commented how the treatment has been tested in many different cancer types, all of which have shown some sensitivity. His team will be concentrating their efforts on the use of this treatment strategy in lung cancer and mesothelioma. Moving forward from these lab tests, the treatment will first be safety tested in volunteers and then moved into the Phase I/II trial involving 56 patients, which will aim to determine the efficacy of the gene–cell therapy plus chemotherapy compared with current standard care. Each enrolled patient will receive almost a billion cells over the course of three infusions, 3 weeks apart. The cell therapy will be administered as part of first-line therapy, 1 day after individuals receive chemotherapy. Prior to the trial beginning, these cells will be manufactured at London’s Royal Free Hospital (UK), overseen by Mark Lowdell. “If clinical trials are successful, our treatment could be transformative for the treatment of lung cancer, and possibly other types of tumor in future,” Janes stated.